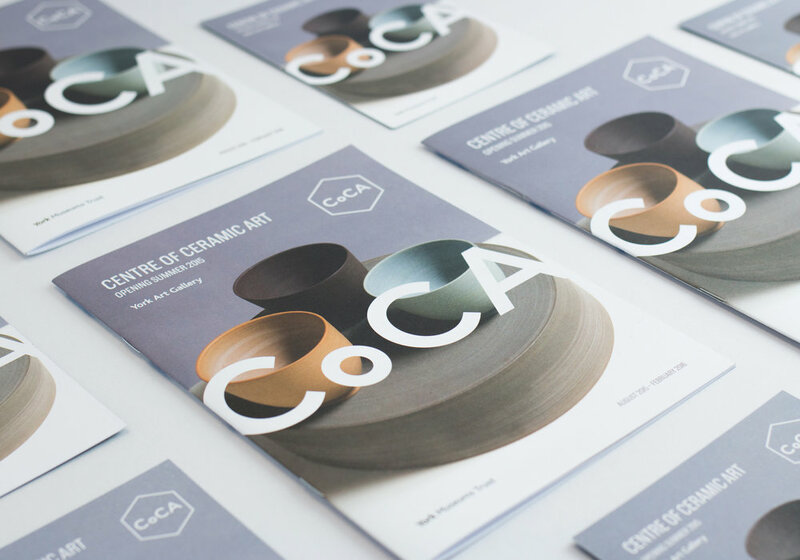 The Centre of Ceramic Art (CoCA) opened in York, England in Summer 2015. 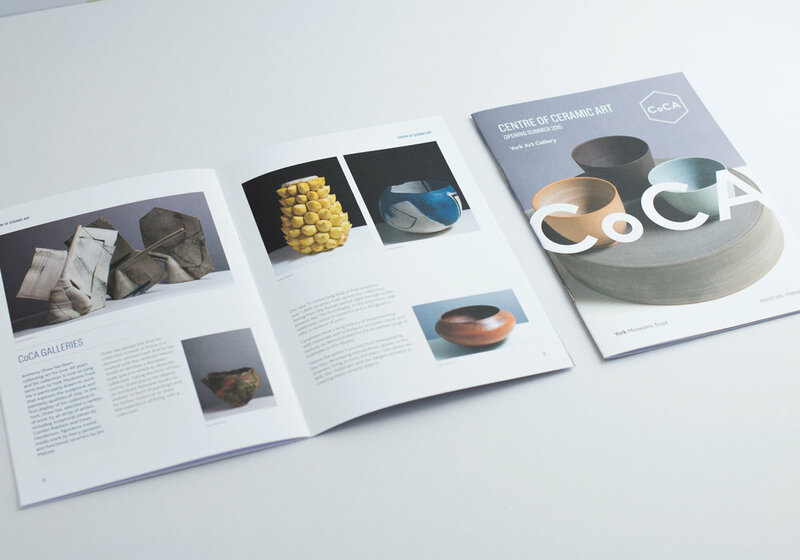 The collection of British studio ceramics is one of the most important in the UK.Containing the work of over 600 artists and in excess of 5,500 objects, it continues to grow through gifts, bequests and purchases. The logo I created for CoCA was inspired by the unique paving on York’s streets and has since been adopted as a design feature on the exterior of the gallery. The whole brand style was kept nice, clean and modern, to help emphasise the intricate art that goes into the ceramics. 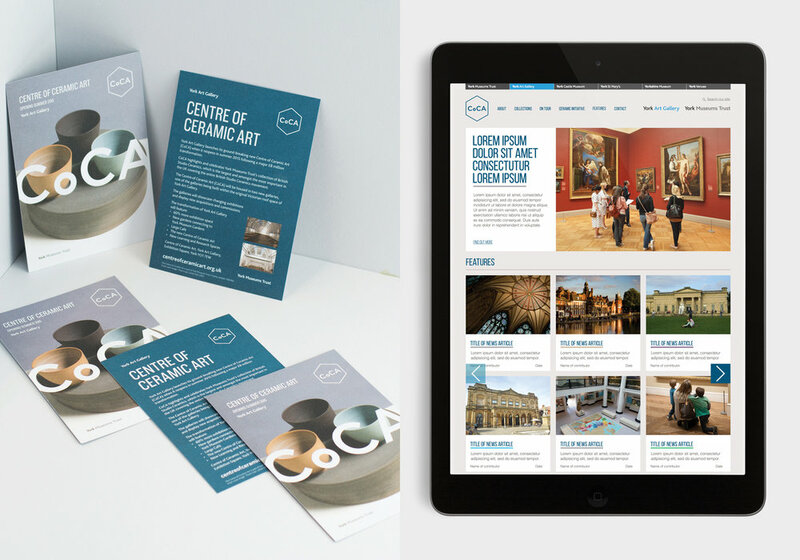 Aswell as the identity, I created a host of collateral and designed the website. More than 300 double hexagon shaped tiles were made by Shaws of Darwen, Lancashire, and were fitted to CoCA’s exterior. The unique paving in York, known as Stable Paviours or Rosemary Setts can be found throughout the numerous alleys and back streets in the city. CoCA launched with great fanfare, gaining coverage in publications ranging from the Yorkshire Evening Post to the New York Times.